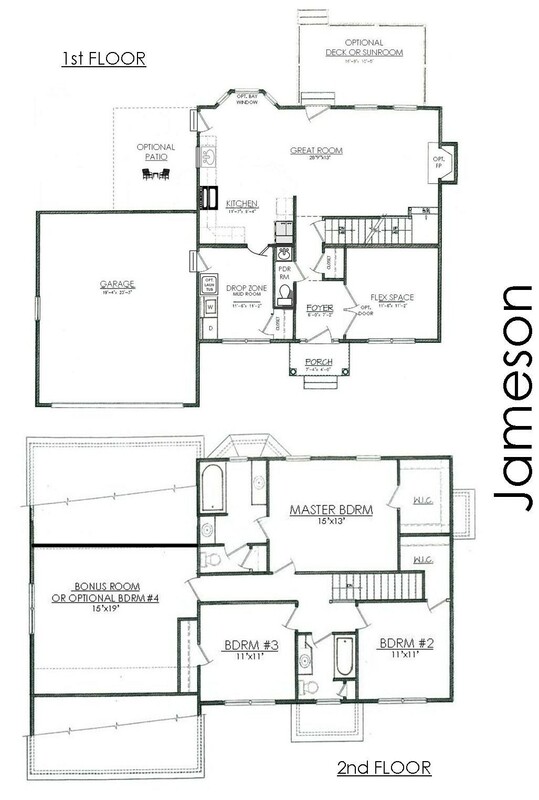 The Jameson model is a variation of our Jamestown model. flex space and a spacious family friendly "drop zone" mud room. Full basement & 2 car garage. Optional bonus room/4th bedroom, sunroom/deck and patio.